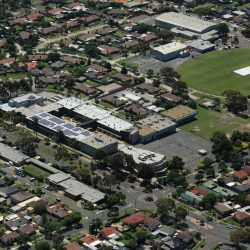 The Australian Curriculum, Assessment and Reporting Authority (ACARA) has identified Caroline Chisholm Catholic College as having demonstrated substantially above average gains in reading, as measured by NAPLAN. The accolade was unveiled today via the My School website. The Australian Curriculum, Assessment and Reporting Authority (ACARA) is responsible for Australia’s national reporting program, including the My School website. This College’s NAPLAN results in 2018 showed a state average growth (effect size) in Reading of 0.53 between Years 7 and 9, while the College’s growth between those years was double at 1.06. “The recognition from ACARA is wonderful and a great reflection of the hard work by so many, in particular our students, who continue to embrace our Reading Program,” said Suzanne Farley, Deputy Principal of Learning and Teaching. encourage students to read and take every opportunity to read. monitor and challenge students to read a variety of texts and texts appropriate to their reading level. encourage students to think about and analyse what they are reading. explicitly teach skills which enhance and engage students in active reading. gain compared to other students at the same average NAPLAN starting score. “Year 7 students visit the library once a week and Year 8 and 9 students once a fortnight as part of the English curriculum. A key part of our Reading Program is the ‘reading conferences’ where students discuss what they are reading. Students sit down and conference with their teachers to discuss their reading and set clear goals. The outstanding outcomes and recognition from ACARA is a testament to the commitment the College has put into these programs and partnerships,” added Farley. The College has experienced substantial academic outcomes since 2013, in particular in its median Study Score and Better Education Ranking. In 2016 the College achieved a median Study Score of 30 for the first time, and in 2017 and 2018 solidified this with another excellent Study Score.